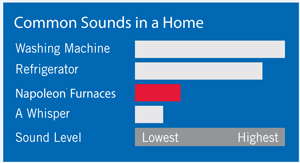 Go away for an extended period without worrying about keeping your wood furnace operational. 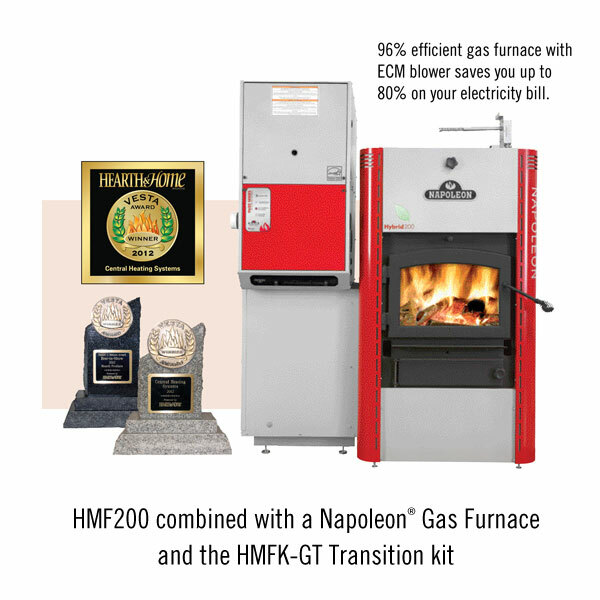 Napoleon® Hybrid HMF200 switches from wood to oil or electric automatically. If the furnace runs out of wood, a second thermostat controlling the optional oil and/or electric components will keep your home warm and toasty even if you are not at home, without any interruptions. 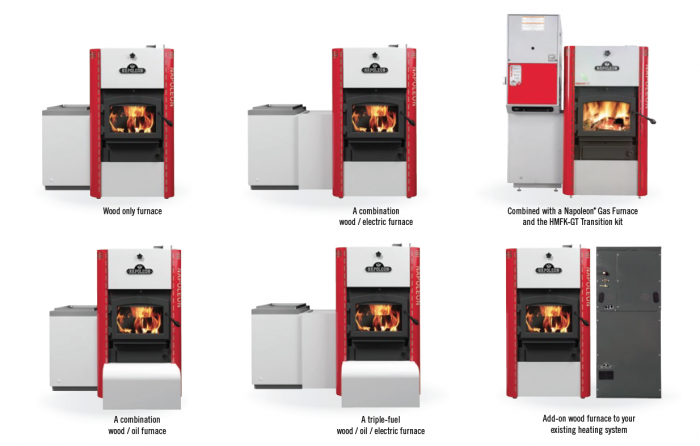 Even with power failures, the furnace (wood only) is designed to use gravity flow for emergency heating. A manual override lever is a standard function. 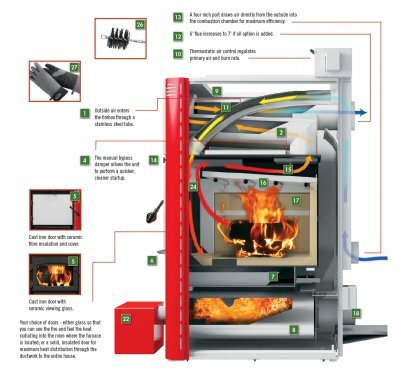 Your choice of Beckett or Riello high-efficiency burners combined with the stainless steel combustion and heat exchanger module will give you many years of reliable and safe performance. The impressively large 5.0 cubic foot solid built, fully welded and completely lined combustion chamber will give you many years of safe and trouble free performance. The bypass damper and preheated outside air feed directly into the combustion chamber, providing rapid responsiveness and maximum heat control. 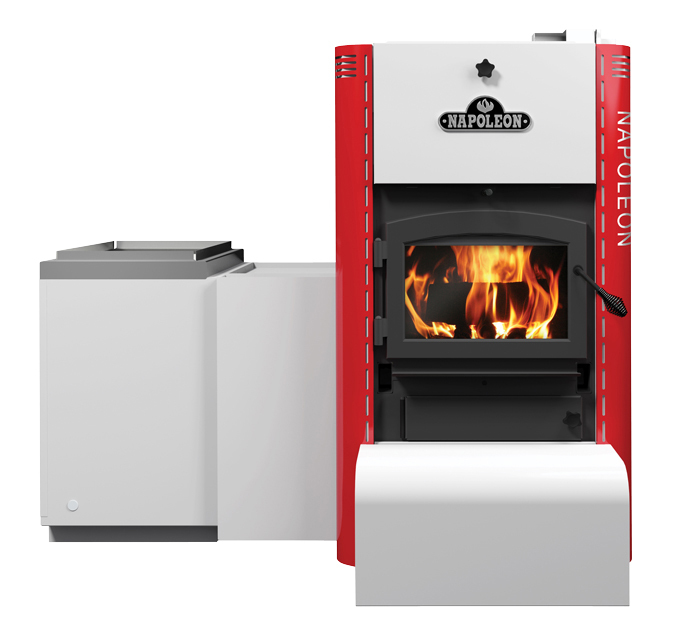 The thermostat sets the desired heat level for a roaring fire and then shuts down for a long, clean and consistent burn. 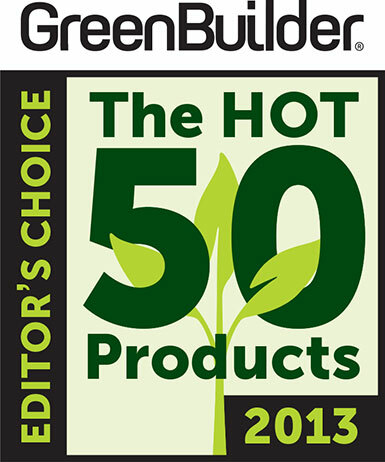 Hot 50 Product Winner The Editor’s at Green Builder. 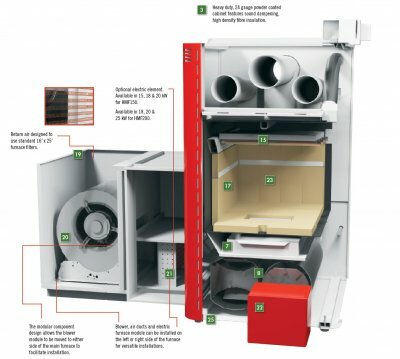 magazine have selected the HMF150 for their HOT 50 Product list; a collection of advanced products that their editor’s believe will have a significant impact on sustainable construction.